Hello there all you music people of the world! We have a new artist coming to us from a far away land. Kazakhstan to be exact. So that's kinda cool huh? Though we've never been there, it's close to Papa Maldjian's ancestors in Armenia (yes, that's a country...look it up). Not a bad little trip down Melancholy Lane we have here. Can not say I have ever met someone from Kazakhstan, but I would say this was a pretty great introduction. Though I have some doubts that they are a country comprised solely of talented independent music producers, its still a good introduction. Okay, so I got to say I was kind of split down the center listening to this album, and it's mostly brought on by the two contrasting kinds of music being merged together. In tracks like “Waiting For This Time” and “I Adore You” you can find a kinda hand-crafted personal expression which I think I am feeling from the use of the little acoustic guitar. On the other songs that kind of stuff is still there, but just muddied up by drum machines and heavily distorted vocals. I don’t know, I liked a lot of what was being said, I just wish it was less hidden half the time. I never knew that you could distort an 808, wow this album is providing so much to the genre! I really hated this album it is so terrible. “I’m sad I’m sad saaaaddd I’m sad. Sadd sadd” - every song. What else would you expect from someone who pays for Instagram followers? This album just didn’t really resonate with me. It sounded like someone took a bunch of default pre-programmed Garageband tracks and put them together. The incessant high hat was killing me and made it sound amateur. Every time I thought it was gone it’d just sneak back up on me. Also, the autotune was strange and unnecessary. And it also sounded like there were other tracks that were autotuned/distorted somehow? Distortion/autotune can work when done correctly, but here it feels like it’s thrown in in an attempt to give the illusion of substance. It was like it tried to go R&B but didn’t quite make it. There were some songs that I could get a bit into though. But that was mainly the guitar at work, and the rest of the noise was too much for it to make up for. Needs a bit more personality to it. Be confident in your voice and find your sound! Sometimes the albums you throw on match up perfectly with what you happen to be doing at the time. Sometimes not so much. Happy to say that Esen Jolie's album did in fact sync seamlessly with a nice relaxing day at the beach. Which was when I happened to get the text from Sean to listen to it. I nodded along and enjoyed the melodies as they often lined up nicely with soft waves coming in and eating some of mom's watermelon slices. Only complaint is I could do without the incessant autotune. Specifically dug tracks 1 and 8. How appropriate that it is raining but i can’t quite tell how hard or if I wanna venture out into it. This album...what is it? who are you? what mood am I in? where am I? but mostly where am I going? As “Paradise” started I was feeling it but there’s something not right. On each track there’s something about it I really like, it is trying to bring me somewhere, to some nice state of being, but then there’s something off, something wrong, that holds me back. 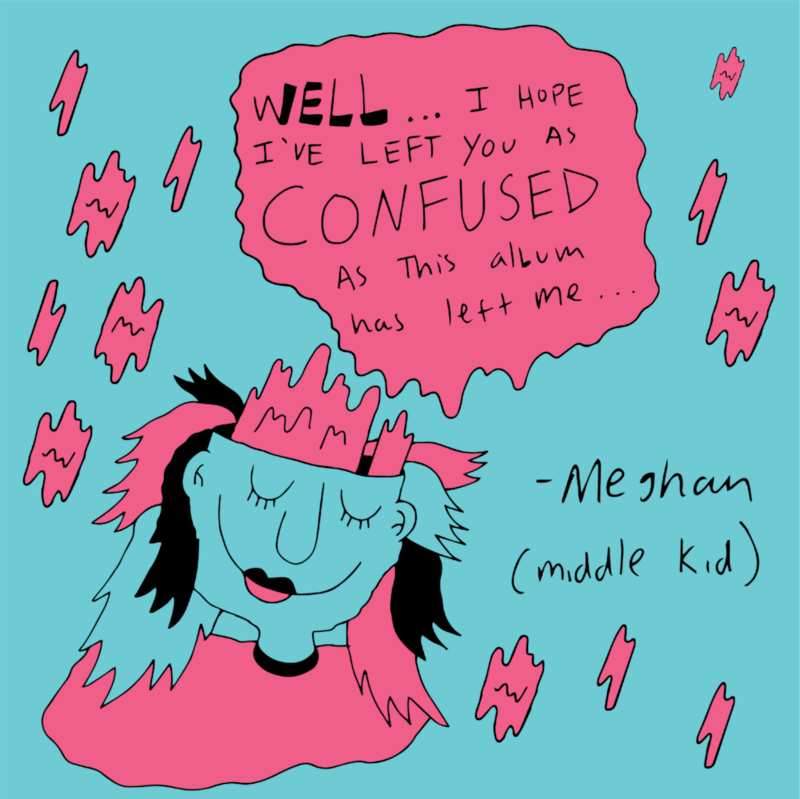 Well, I hope I’ve left you as confused as this album left me. Just dreadful; I really hated it. Terribly, terribly depressing and not in a artistic creative way but in a lackluster hopelessly desperate way. Buddy, where would you be without effects pedals? I’m guessing in a much better place musically. My specific criticism is that every single track sounded exactly like the one before it. Over-produced dribble with tons of reverb and deadpan vocals. My advice to you is don’t quit your day job as a mortician.